I just bought a Yeelight Lightstrip Color yesterday. I installed the Mi Home and Yeelight App, once I updated the firmware to the current version I lost the red color completely. 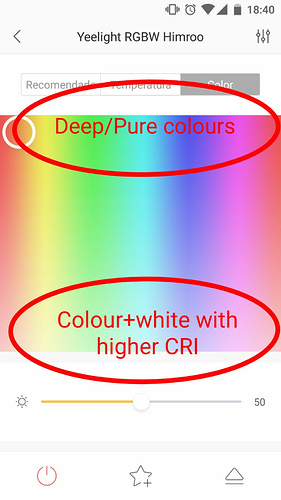 Now it only shows green and blue manually and the Yeelight App shows shades from green to blue, no longer able to show yellow, red, pink, purple etc. Is there anyway to fix the problem? It worked fine before the firmware update. unpair the lgithstrip, and pair it again. I tried that already, it didn’t work. more and more people complain about the lack of pure red. Please return the firmware back. 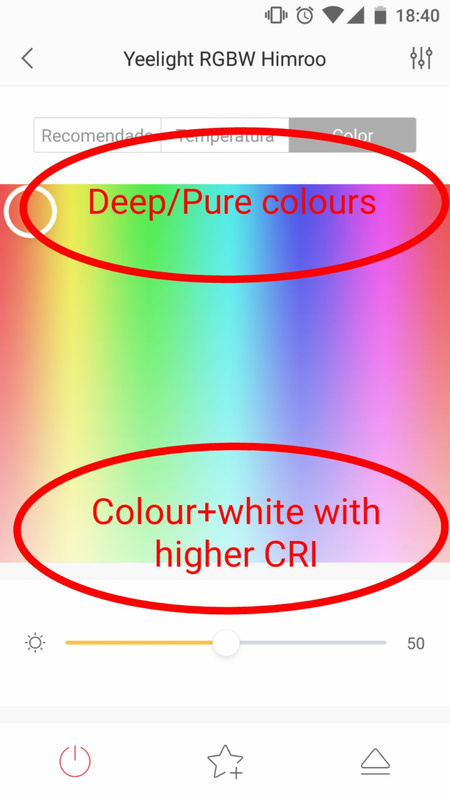 The colour selector should be like that, to be able to select Deep/pure colours, for example for creating ambiance.It was better in old firmwares. Is there a way to revert FW update? I have no red and green anymore in my bedside lamp wifi. Is there any other solution to this? Same thing happened to me and I would like to try all means to fix the issue before resorting to buying a new set.